PHUKET: The Phuket office of the Highways Department will close off the Darasamut Underpass near Central Festival Phuket for four hours from 11pm tonight (Mar 15) to finally repair signal lights that have not been working for weeks. 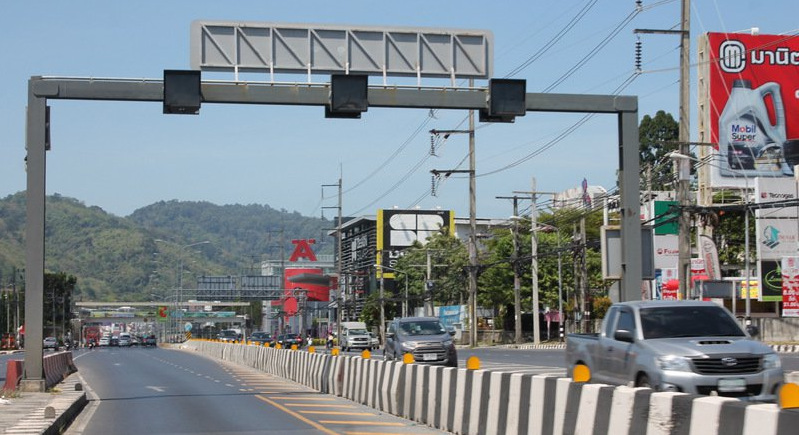 “On Mar 15 from 11pm until about 3am we will close the Darasamut Underpass to repair signal lights on the side heading towards Bang Khu (the lights at the northern end of the tunnel),” said a notice issued by Highways Department yesterday (Mar 14). Attempts to repair the signal lights have been ongoing for at least two weeks. Highways Department electrical technician Warakorn Jawana on Feb 27 noted that the construction firm Italian-Thai Development Co Ltd (ITD), which built the underpass, was in the process of buying new light bulbs and other materials to repair the inside tunnel lights, the entry and exit lights and do some maintenance on the drainage system. However, come Mar 3, Mr Warakorn explained, “We are waiting for some repair parts to be delivered from Bangkok. It depends when they arrive. The underpass closure tonight follows the Highways Dept repairing a transformer at the underpass from 9am to 1pm yesterday (Mar 14), though no underpass closure took place. Make sense, sorry you're in the wrong country for that. Since these underpasses is so important, wouldn't it make sense to have a supply on hand of normal maintenance items, such as light bulbs? I guess this makes too much sense.